Last day of extra savings with sale coupon at Crazy 8 stores in the United States and online. 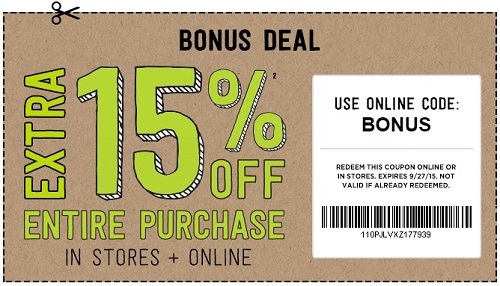 Take an extra 15% off your entire purchase. Print the coupon and start shopping. Hurry up, offer ends today (09/27/2015). Source of the information is Crazy 8. More details available at stores.